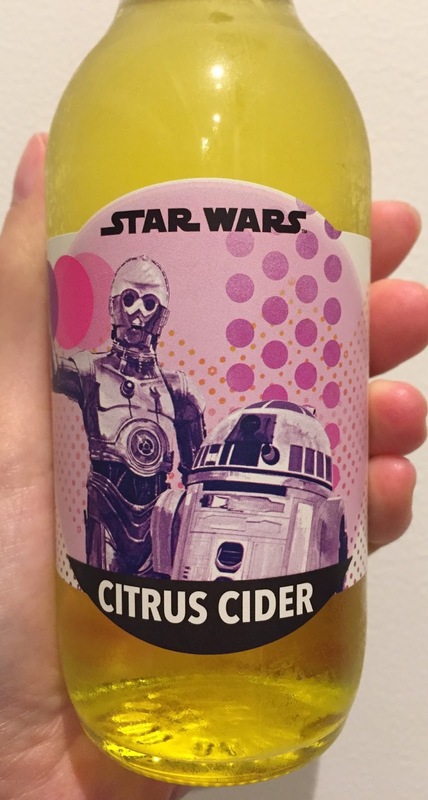 Star Wars Citrus Cider C-3PO and R2-D2 was yellow while Crystal Cider R2-D2 was light blue. Distributed by Nisshoku in Osaka. 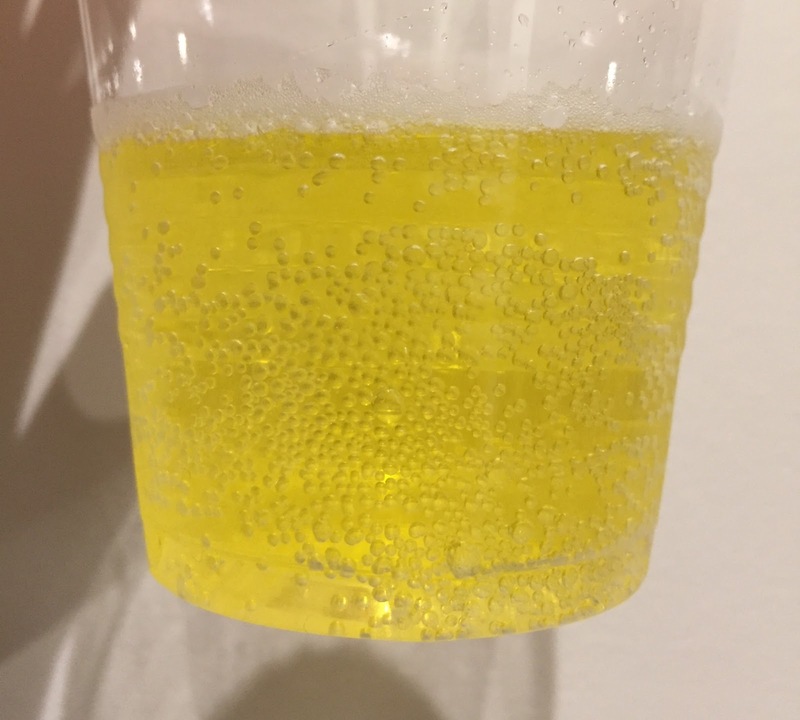 This yellow soda had unique flavor, and it's a bit flowery and also herbal.